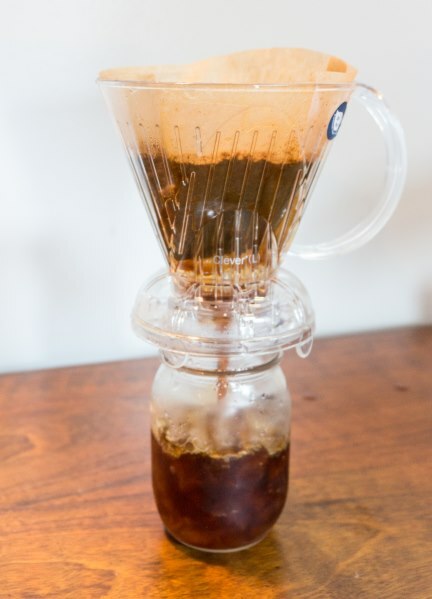 We have several tutorials on INeedCoffee that walk through the steps on how to make cold brew coffee. But until now we haven’t written a guide for making iced coffee. The terms cold brew coffee and iced coffee sometimes become interchanged, but they do have different meanings. And they taste different too. Cold Brew is coffee that is brewed at room temperature or cold temperatures for several hours. The most common brew times are between 12 and 24 hours, but you can brew longer. The grounds tend to be more coarse. The resulting coffee brew is often a concentrate which is later cut with water to bring it back to an ideal strength. Fans of cold brew like the low acidity and smooth body. It also tends to be high in caffeine because the brew period is so long. 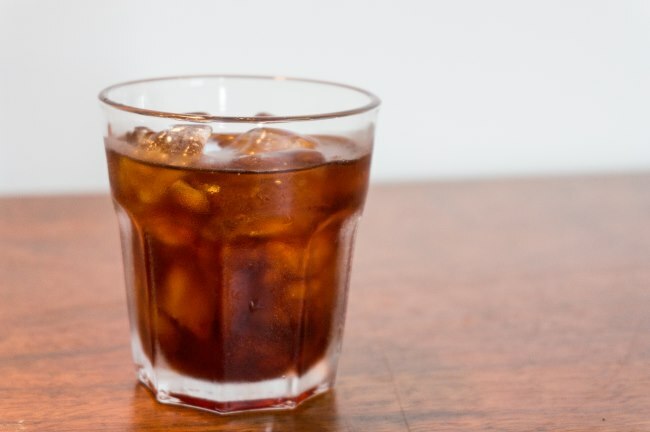 Iced Coffee, which is also referred to as Japanese Iced Coffee, is made by brewing coffee directly over ice. This instantly chills the coffee, while preserving the flavor. To avoid having a watery coffee, the amount of water used when brewing is split between the hot water and the ice. Many coffee aficionados prefer iced coffee to cold brew as it tends to taste like a chilled refreshing version of that hot coffee. Whatever acidity level or flavor notes the hot version has will remain. And if you get the water ratio right it won’t taste weak. Another advantage iced coffee has over cold brew is it is much faster to make. 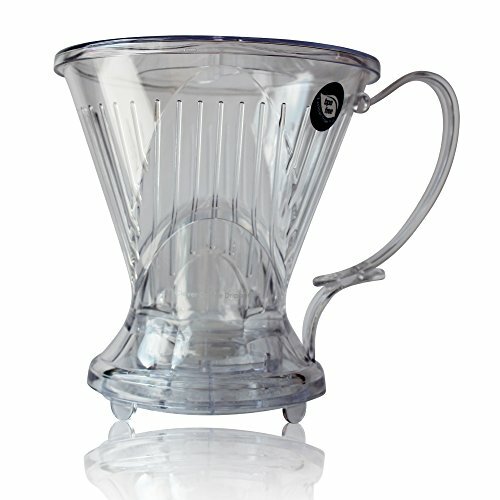 Why Use the Clever Coffee Dripper? 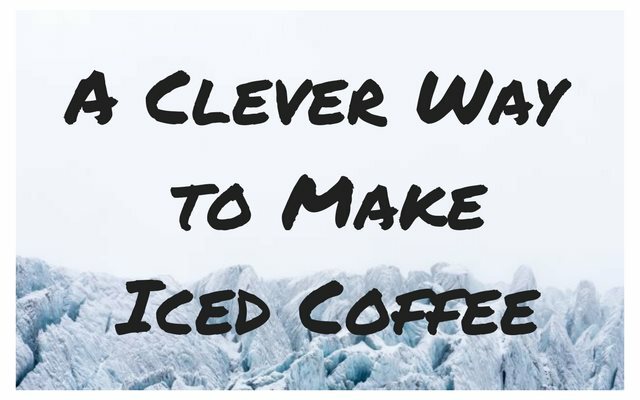 You could brew iced coffee a number of ways, but the Clever is an ideal choice. It has a paper filter, which results in a cleaner finish. The Clever is also a full immersion brewing method. This means the coffee remains in contact with the water for the majority of the brew cycle. This will allow us to control the brewing time better than we could with a pour over method. The result is a richer coffee. 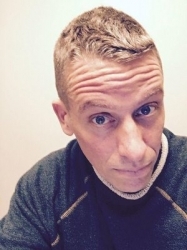 Another excellent choice would be the AeroPress. The math of iced coffee is the same as hot coffee with one exception. The water weight we normally would use for hot coffee is divided between hot water and ice. The goal is not to have a jar full of coffee and ice cubes when finished, but to just use enough ice to cool the coffee. We can always add more ice later. Our goal is to mimic the taste of the hot coffee but chilled. Use a slightly finer grind than you would for the hot version because you are brewing with less water. This recipe uses a 15-1 ratio. 15 parts water to 1 part coffee. Adjust the ratio to your taste. For this tutorial, we are going to combine several steps that we broke down in detail in the article Step By Step Bonavita Immersion Coffee Dripper, which operates very similar to the Clever Dripper. 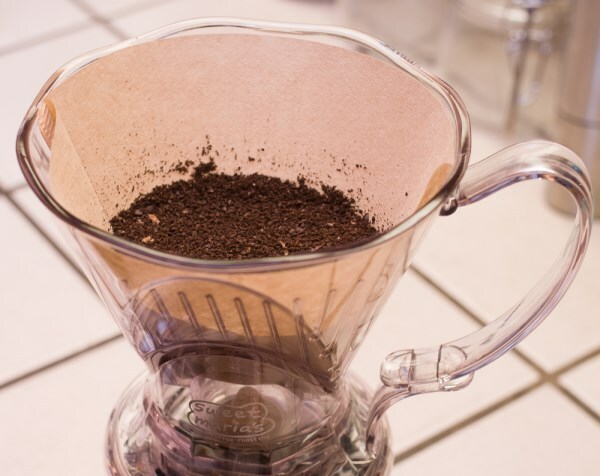 Place a #4 coffee filter inside the Clever. Rinse the filter. Add 20 grams of medium or medium-fine ground coffee. Weigh out 120 grams of ice cubes and place them in a jar or mug. Add 180 grams of hot water slowly into the Clever Dripper. After a minute you can stir slowly if you want. Aim for a total brew time of 3 to 4 minutes. Place the Clever Dripper over your jar or mug with the ice. The lid will trigger the release of coffee onto the ice. The coffee should melt most of the ice. Take a sip. The coffee should taste as rich as the hot version. You can add more ice now to chill the coffee more. I usually do. It is that simple. If you find that you used too little ice and your coffee is still warm and all the cubes are melted, don’t add more ice yet. The coffee might start out tasting fine, but as the ice melts, the coffee will taste progressively weaker and more watery. If you find you’ve brewed a cup with too little ice, place the coffee in the refrigerator to cool. 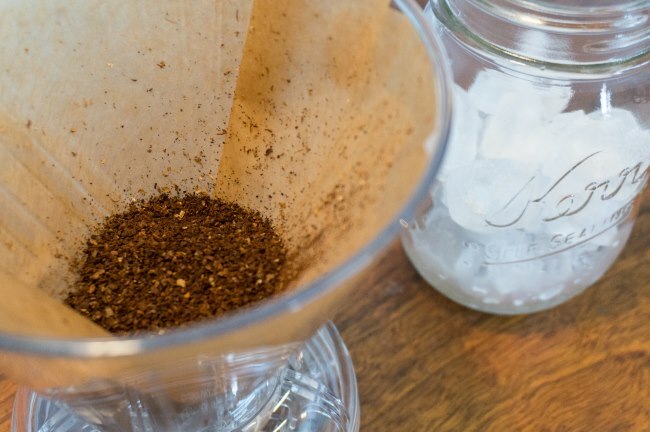 Making iced coffee home is very simple. Find your ideal brew strength ratio. Divide the brewing water into water and ice cubes. Grind a little finer. Then brew directly onto the ice. The flash cooling will preserve and often highlight the same flavors you enjoy when the beverage is hot. Step By Step Bonavita Immersion Coffee Dripper Tutorial – INeedCoffee brewing tutorial. Clever Coffee Dripper Review – INeedCoffee article. Title photo by Raphael Rychetsky.